Today, the Salomon Glen Coe Skyline well and truly cemented itself as one of the ‘must-do’ events not only in the UK but the world. At times, it has been a rocky road putting this event on. Not from an organisation point of view I must add but from negative publicity about inappropriate use of the mountains and of course the D A N G E R and the ‘risk-of-death’ that may occur. 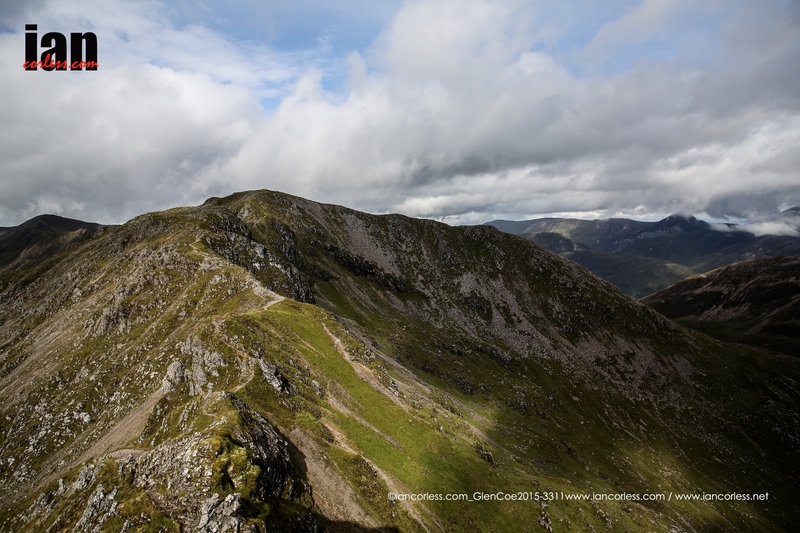 Many Scottish papers said that the trails would be strewn with runners going fast and ruining the day of many a mountain lover…. As predicted, the reality was far from the scare mongering of a select few. Mountain lovers were on the mountains and you know what? They stopped, cheered, applauded and encouraged what (in their words) these ‘super humans’ were doing. Scotland played ball today too. The previous day’s rain eased over night and the runners were greeted with a perfect day until just after midday. As predicted the cloud came in and with it showers. But at this stage the runners just had one thing in mind; the finish. 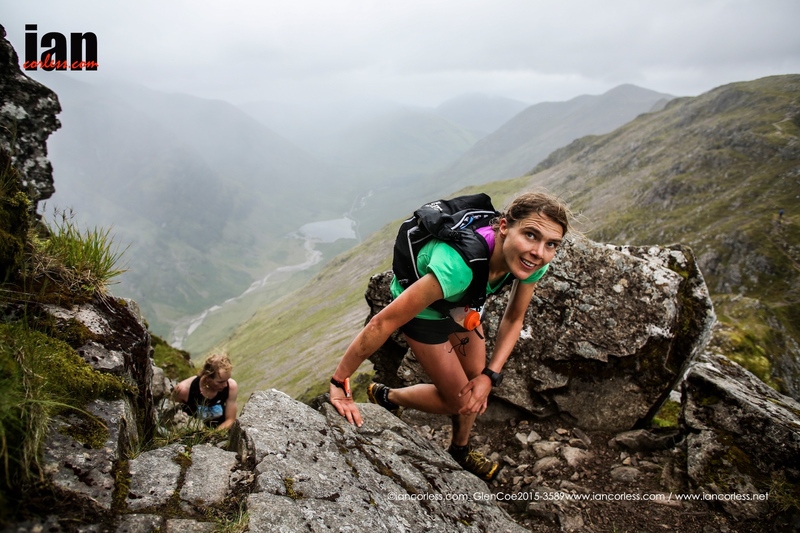 In the early stages of the race, it was all going to script with Joe Symonds, Es Tressider and a handful of other top male talent dictating the pace and Emelie Forsberg was holding a slender lead over the 2015 Berghaus Dragons Back winner, Jasmin Paris. Climbing Curved Ridge was for many, the highlight of the race. Coming just 6-miles in, it was a real brutal way to kick off what would be the UK’s most extreme day in the mountains. For those who don’t know, The Curved Ridge route ascended Stob Dearg (Buachaille Etive Mor) via the exposed Grade III scramble (a ‘Moderate’ graded rock climb). What followed was a master class of pure Skyrunning by Joe and Emelie. 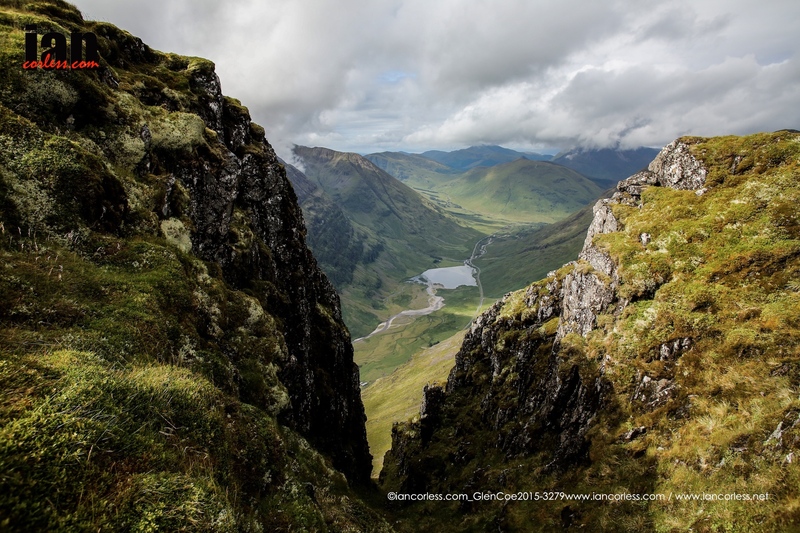 They pushed the pace, extended the gap between the competition and when they entered the Aonach Eagach Ridge barring an accident, the race for the respective top slots was over. However, Joe was only 10-minutes ahead of Emelie… could she close the gap? Jasmin Paris once again produced another top notch result placing 2nd behind Emelie and 5th overall in 7:54:29, just 10-minutes back from the Skyrunning World Champion. Sarah Ridgway rounded out the ladies’ podium in 9:21:44. 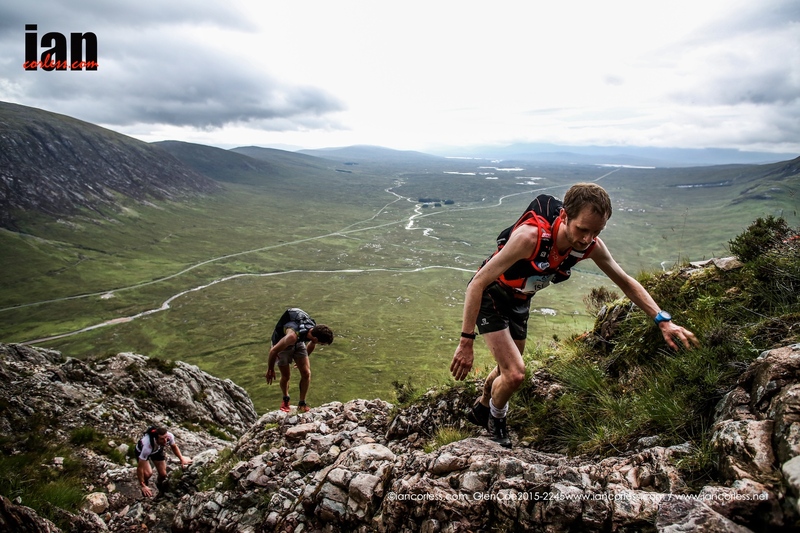 148 runner started the 1st edition of the Salomon Glen Coe Skyline and currently (at the time of writing) 24 have withdrawn from the race. This low drop out rate is a testament to the strict vetting procedure that was put in place by race director, Shane Ohly. The stage is now set. 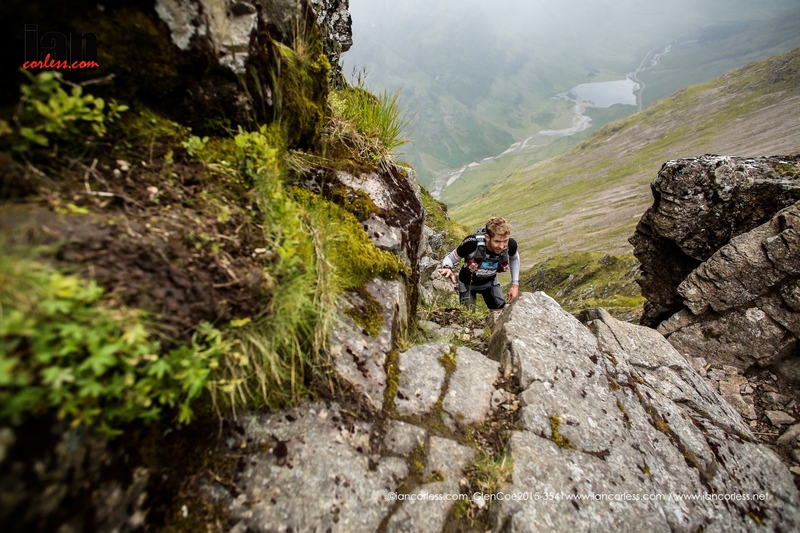 This race is set to become a beacon of Skyrunning, not only in the UK but worldwide. Expect great things for 2016! 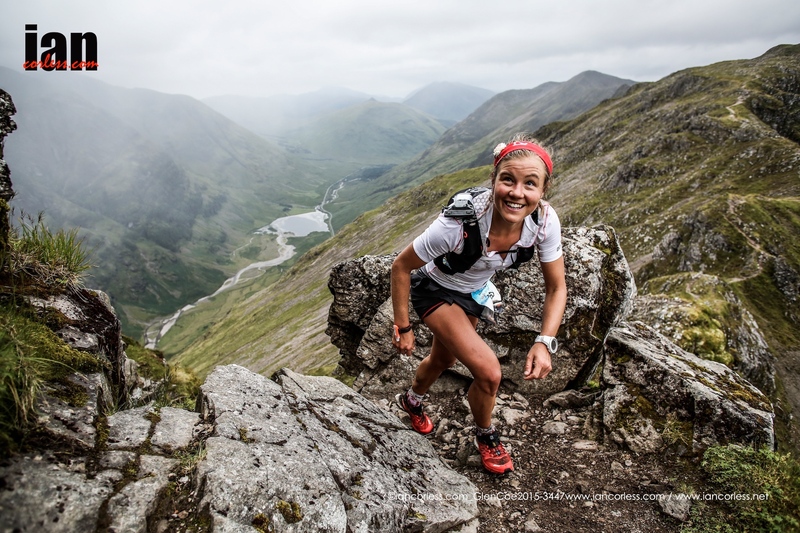 This entry was posted in Uncategorized and tagged Emelie Forsberg, glen coe, glencoe, ISF, Jasmin Paris, jayson cavill, Joe Symonds, mark harris, ourea events, Salomon, salomon glen coe skyline, salomonglencoeskyline, Sarah Ridgway, scottish mountain running, Sky, Skyrunning by talkultra. Bookmark the permalink.